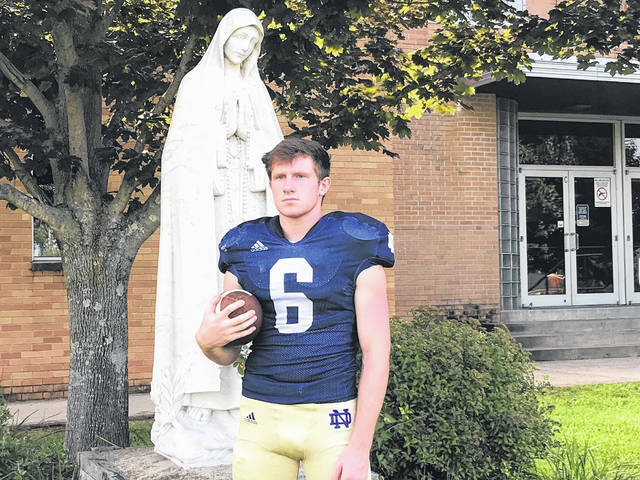 It is probably safe to say that not many Division VII schools in Ohio High School football have multiple all-state defenders on their team, but that is in fact the case for the Notre Dame Titans. The Titans are looking to improve off of last year’s 2-8 in the record books, but they’re also looking to be more competitive in their losses as well. The addition of two time all-state defender during his freshman and sophomore seasons, Braidan Haney, should well contribute to the improvement on the defensive side of the ball. After transferring to Notre Dame as a junior from East in the last year, Haney joins one of four seniors on the Titans, Ben Mader as the other all-state defender on the Titans roster. The Titans open their season at Southern High School in Racine, Ohio on Friday, August 24th at 7 p.m.